Medical device is a broad term which covers a variety of apparatus and equipments like Band-Aids, dental floss, defibrillators, blood pressure cuffs, MRI scanners and more. Since all these equipments are very much useful and needed on a daily basis avidly, therefore, these medical device designs require mechanical engineering for global requirements in the medical device R&D and consumption. Medical devices prototype comes in while the development process for a medical device takes place. Rapid Prototyping has numerous applications in the medical devices which range from breast imaging devices, custom prosthetics and anatomical models to inhalers. 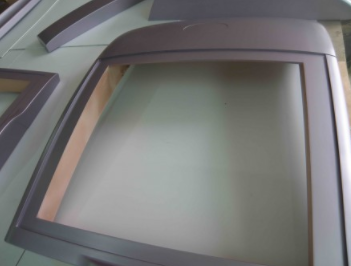 You can find prototyping devices being used for surgical bins and outside monitor panels as well. Surgeons are now utilizing the benefits of additive manufacturing, providing solutions that are quick and cost- effective to many patients worldwide. The development process for medical devices is no different from any other device. It also goes through the process of design, prototype, test and repeat. Most of the prototypes for medical device need biocompatible or sterilizable materials to test and also for clinical trial requirements. At the present time this prototyping device provides the application which is used to manufacture production-quality parts in relatively small numbers. There are various projects which are taking help of this particular machine and many rapid prototyping services are revolutionizing the industry by focusing on creating designs which are effective and useable. This rapid prototyping technique used for producing samples of parts and products for medical industry is winning over amazingly. Countless amounts of devices are made everyday to help out people in the health and medical industry, but are they really helping? Now, you have an option to leave out the mass wastage and use the effective method to produce medical devices with the help of medical devices prototype. Many recycled materials and manufacturing waste are also being utilized to construct large prototyping devices.